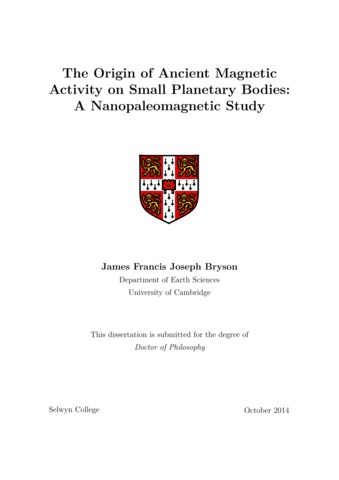 Bryson, J. F. J (2015) The Origin of Ancient Magnetic Activity on Small Planetary Bodies: A Nanopaleomagnetic Study. 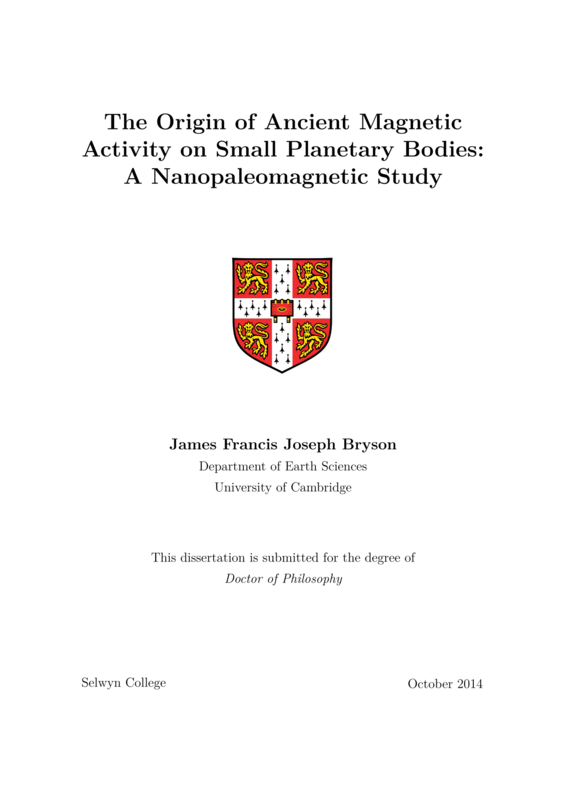 PhD thesis, University of Cambridge. The magnetic remanence stored within meteorites represents a window into the struc- tural, dynamic and thermochemical conditions that prevailed within small planetary bodies (<1000 km radius) during the early solar system. Paleomagnetic measurements indicate that many meteorites recorded a vestige of ancient planetary magnetic ﬁelds, indicating that numerous small bodies contained, at one time, molten metallic cores that convected to generate dynamo activity. However, the temporal evolution of these ﬁelds has remained elusive, thus the thermochemical conditions that governed this activity are uncertain. Also, the nm- and µm-scale magnetic and structural properties of the reman- ence carriers are largely unstudied, thus their capabilities as paleomagnetic recorders are unknown.